The Turncraft Column Builder App allows users to see what options are available and produces specification documents for individual columns. 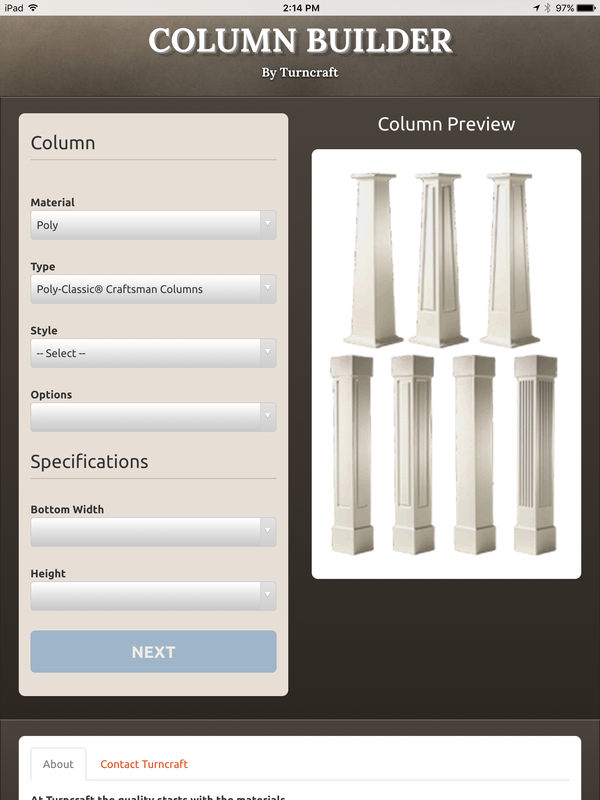 You can use the app to develop specs for the columns you want to order from us. Just go through the steps to choose all the options. Then at the end, choose PDF to create a spec sheet in the PDF format. Produce PDFs for the columns you need and let us know how many you need for each style of column. Email the specifcation documents to us at pagliacco@comcast.net and we can fulfill your order. Note: The Turncraft Column Builder App has options for columns that are not listed on the Cheap Column website. If you are interested in any of those columns, just produce a spec sheet and we'll give you a quote.